This is the 2nd YAppiest Giveaway! See the rules below for a chance to win. For a complete list of upcoming giveaways, go here. Elysia is a sixteen-year-old clone, a trial teenage model called a Beta. She wakes up in a laboratory after being replicated from a human teenage girl who had to die for Elysia to exist. Or so she is told by the doctor who made her, along with the facts that she has no soul, no feelings, or desires. Everything has been programmed into her data chip, and clones that deviate from their programmed behaviors are defects that are expired. Aesthetically perfect, Elysia is purchased as a companion for a wealthy family. Her life is idyllic, until she discovers she can taste and enjoy chocolate, something only a defect could do. Determined to keep her defect a secret, Elysia goes to great lengths to serve her human family. The island paradise is heaven on earth, still Elysia soon sees that the human inhabitants are filled with discontent. Then come the hushed rumors of turmoil among the island’s worker clones. Elysia wouldn’t dream of fighting for her freedom, until the clone boy she falls in love with is taken away from her. Emotions she doesn’t understand consume her: rage, terror, and desperation. But if she’s to survive and find the boy she loves, she must be stronger than she ever thought possible. It’s me she wants to purchase. Written in the first-person, Elysia — the Beta clone — takes us on her journey of awakening and self-discovery. We experience the island paradise through her eyes, as well as the self-centered family who buys her and their discontented friends. 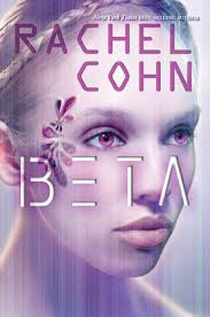 BETA is a compelling love story where horrifying stakes unfold. Elysia lives in a world where clones are brutally tortured and murdered, if they show the slightest sign of individual thought or emotion. This makes Elysia’s defect experiences all the more dangerous. To us, owning slaves is a repulsive, archaic practice. But this story puts a new spin on the age-old question: Is it right to own another living thing? Just because we *think* something doesn’t have feelings, doesn’t mean it’s true. Elysia, shows us that her subjugation is every bit as real and painful as it would be for any human. Leave a comment on this blog by midnight, May 7th (1 entry). I’ll tally the entries and choose a winner at random, then announce it on this blog on Saturday May 11th. Good luck! 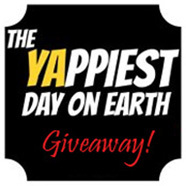 This is a first for me–bumping into the yappiest giveaway–and what a WOW it is! The synopsis for BETA is uber intriguing and yep, that first line is a winner! Wishing you a wild and successful ride through your Yappiest Giveaway days and beyond. Thanks for helping to spread the word about this wonderful book. Beta is terrific! Ive heard a lot of great things about Beta. And the premise holds a promising series. Yay heard about this give away from my friend Emma. I heard a lot of great things about Beta and the premise is very interesting. Thanks for stopping by Liv. I think you’d really like this story!